Large growing plant with finely cut fern like, 2 or 3-pinnate leaves and reddish-purple flushed, branching stems. Imposing flat heads of small white flowers in late summer. 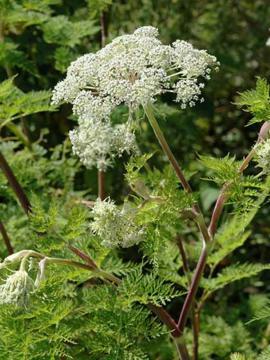 General appearance is like a refined form of cow parsley. Prefers a good, light, moist but well drained soil and a sunny position, but is fairly tolerant..